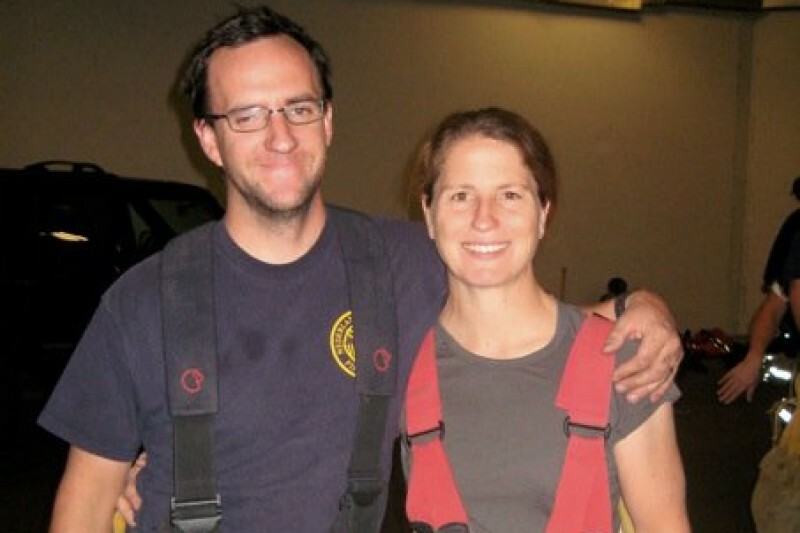 Bretlyn and Charlie Schmidtmann are staples in the EMS community. Today they lost their house, property, and one of their amazing dogs in a wildfire in Nederland, CO. They've helped every single one of us at sometime, now it's our turn the help them. Let's show them how much our emergency services family loves them. Any help you can give would be much appreciated. You can burn a home to ash, but not the love in it. You can suffer heartbreaking sorrow, and then awaken to a new day. You can crush, smother, and trample hope, yet hope will endure. The human spirit is indomitable and with courage will always find its way. Since the onset of the Cold Springs Fire, we have experienced and witnessed a tremendous outpouring of love and support, hard work and courage, and hope for a new beginning. For us, family and friends flew in from across the United States on a moment’s notice, to provide support, love, and helping hands to guide us through this tragedy. Coworkers and team mates, associates and colleagues, donated time, resources, and money to help us face the challenge of renewing our lives. Perfect strangers have joined with us and become friends, and continue to search for our dog (now arguably Nederland’s dog) Geno. Firefighters across the country have treated us like brother and sister, a true family. The generosity of all on our Go Fund Me site has been simply astounding. Words are not thanks enough. For our community, hot shot crews and wildland firefighters from across the nation flew in, dug in, dropped slurry, bulldozed, created fire line, and bravely attempted to protect our neighbors from the ravages of wildfire. These men and women put their lives on the line, every fire and this fire. Words are not thanks enough. Within our town, friends and strangers alike rallied to provide support for those among us who, like us, lost their homes. People rescued friends, families, dogs, cats, horses and livestock, at peril to themselves, when the evacuations were ordered. People donated meals and put up countless signs thanking and supporting the firefighting effort and our volunteers. People gathered at the high school and shared resources and information. Words are not thanks enough. For our town, volunteer organizations from across the state and country responded to assist with property cleanup and restoration, providing hundreds of hours of back breaking labor. These people spent weeks covered with the soot and ash, with the remains of the hard work and dreams of others, because they cared enough to want to help. They continue to hold hands, give hugs, share prayers, and provide encouragement. Words are not thanks enough. Thanks enough would be sharing this kindness, generosity, and love with others; thanks enough would be living with an attitude of gratitude; thanks enough would be paying it forward at every opportunity. We hope to begin each day anew thanking you enough. If I'm forgetting anyone, please let me know and we'll make sure to sing your praises. In other news, Bretlyn and Charlie are doing well, considering the circumstances. 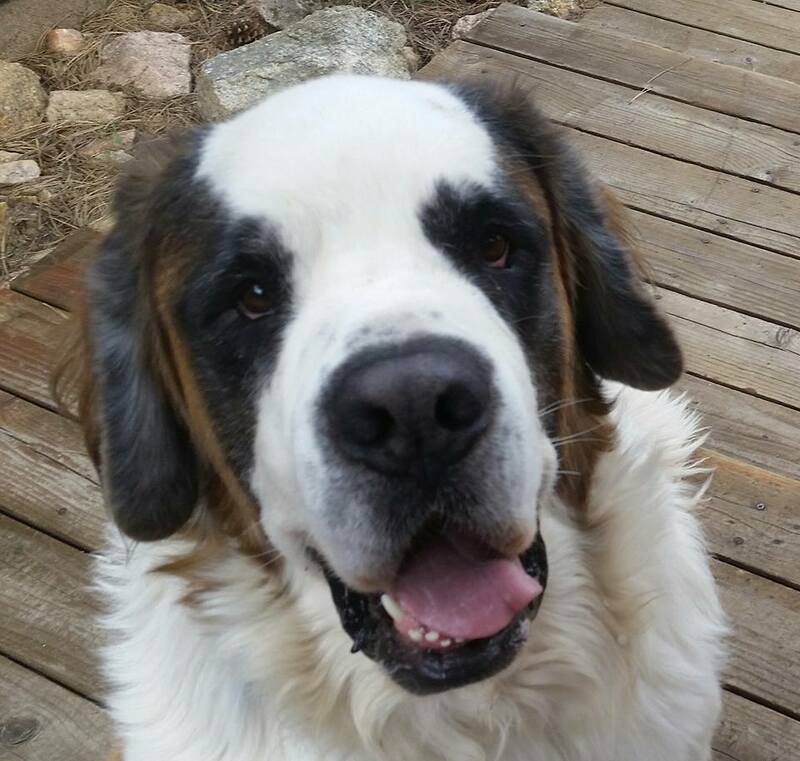 We're all still on the look out for Geno, the St Bernard. Keep an eye for a goofy, giant fluffball running around - he's had a few days to make some distance by now. Let's see if we can't keep this going just a little bit longer! You guys are amazing beyond belief! The response to this is just stunning. There are no words to explain how grateful we are for this out-pouring of love and support. When I started this page, I thought we would have been lucky to reach our original goal of $10,000! You all are amazing. Thank you a million times over. Wow, this support is so far beyond unbelievable I don't even know what to call it! I raised the goal because... why not? Go big or go home :-) More importantly, Bretlyn was able to check in with us. "Hey folks. I am super sorry we can't respond individually yet to all the love and support we're receiving. Words can't express how thankful we are. Please keep your hopes up for us to find Geno. Hug those you love. If you pray, pray that all the hardworking wildland firefighters fighting to put this one out stay safe. Thanks everybody." Please pass on my condolences and my contact info! My house is currently right on the border of the fire, but if it's standing when this thing is contained, I'd happily open up my house to them. I have a spare room in my dream house, and I'd welcome them with open arms! Sorry for your loss. All of us at KOOL 105 want you to know how much we appreciate your sacrifice. Btw, we've shared you GoFundMe page on the KOOL 105 and the Winston and Mel Facebook page. It warms my heart to watch the donations for this family continue to rise. I had the pleasure of working with Charlie, something like a lifetime ago, but I have no doubt all of the support is not just for a family in need, but to give back a bit and remember what they do for our community, as well. May God bless you both and your pets. Like the one donor said in his comment: "This is where give back happens..."! VERY sorry for your loss of home AND your fur baby. Hope your St. Bernard is still alive. Saying a prayer, you find him. We are so very sorry you guys are going through this. We will keep you in our prayers. Stay safe! Darby, there are. I don't know if I should be posting it or not. Tessa will check in later from work on her lunch break. Maybe that's something that can happen. BTW. You guys all totally rock. I'm impressed.